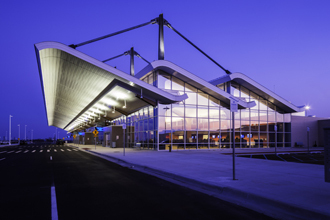 MBS International Airport is owned by the City of Midland, County of Bay and City of Saginaw and is governed by a nine-member commission made up of three representatives from each community. Representatives are appointed to the commission by the representing government entity. The commission meets monthly and the public is welcome to attend meetings. Our management team is led by Jeff Nagel, who joined MBS International Airport in 2002 as assistant airport manager, and was named the airport manager in 2004. After graduating from Florida Institute of Technology in aviation management, he began his career as a customer service representative for Piedmont Airlines. He spent 13 years at Cherry Capital Airport in Traverse City, Michigan, in various roles in operations and administration, before coming to MBS. He is an accredited airport manager through the American Association of Airport Executives (AAE).